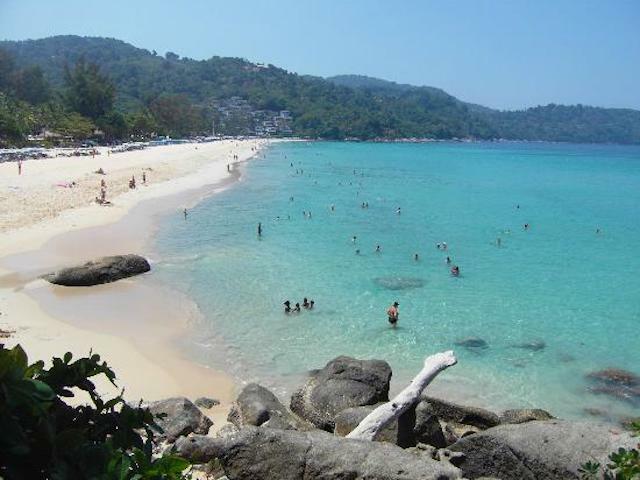 Located just 15 minutes from lively Patong and just south of Karon the main draw to Kata is the beautiful beach which curves round a bay for 1 ½ km displaying a wide expanse of sand with turquoise waters on one side and bordered by shady tropical trees on the other. The bay is flanked either side by rocky headlands and with the small islet (Koh Phu or Crab Island) sitting in the centre of the bay adding to the scenery Kata beach is a perfect place to sit and relax and enjoy the surroundings. A large part of the beach is dominated by the Club Med Resort. However, as it has the beach road separating it from the sand there is still plenty of room for everyone as it is a public beach. Kata town is quite compact and easy to get around. The shops are located behind the beach with two shopping 'plazas' in the central area opposite the grounds of the Club Med, with other many souvenir shops dotted between the various restaurants and bars. These are mostly at a 3 road junction to the south that tend not to open until mid afternoon when sunworshippers come off the beach. There is a good range of family friendly attractions and activities in Kata creating the perfect holiday, although there has been recent development in the south of the area, Kata still retains its coolness and laid-back feel. There are number of more lively bars and restaurants located at the north end of Kata and they join up with those in the neighbouring town of Karon creating one long stretch of urban development. 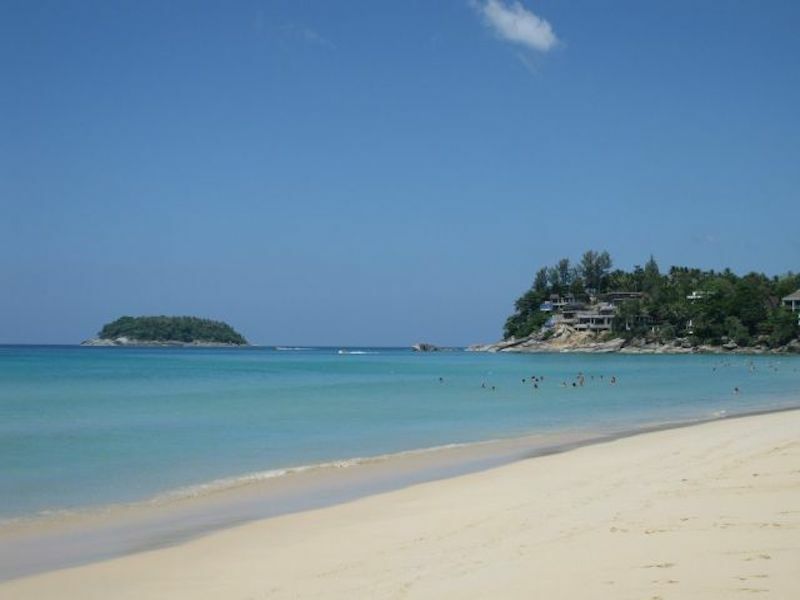 Kata beach is separated into two beaches - Kata Yai (Big Kata) mainly referred to as just Kaya Beach and Kata Noi ( Small Kata) separated by a rocky headland and occupied by a number of our luxury oceanfront villas. The beach is bordered by trees which is the only shade since the beach has been cleared of commercial activity. As there are no sun loungers or umbrellas, you would need to bring your own with you. Vendors still roam the beach selling ice cream, fruit and various beach requirements, but you will not find eating establishments directly on the sand. During the months of November to April the beach area is stunning, with the sea completely flat and as there are no drop offs it is great beach for families as it is safe for non-swimmers and children paddling. The best area is the southern part of the beach where the shade lasts for longer and you are closer to the amenities. For snorkellers the north end of the beach is best, where the rocks host some coral and sea life. For the remaining months of May to October the swimming is not so good, the sea is rougher. 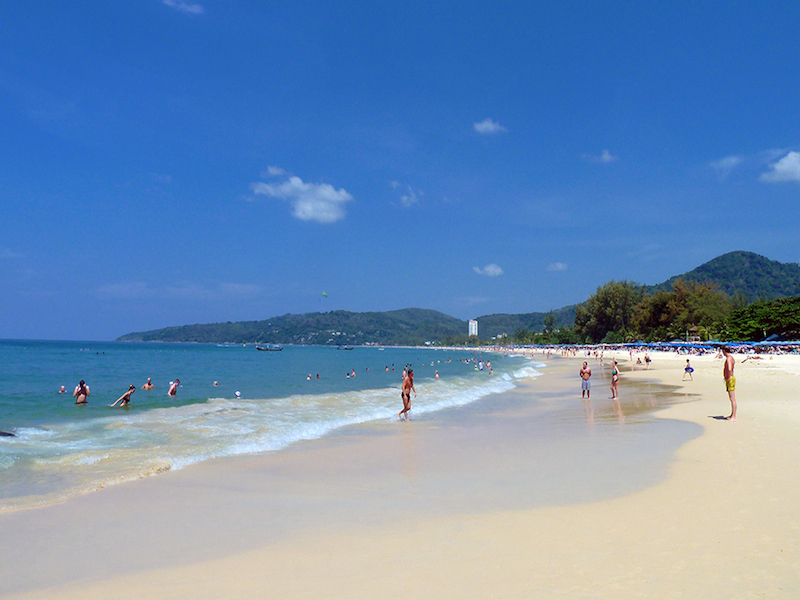 However, surfers flock to the area and it is one of the most renowned surfing spots in Phuket. Kata Noi beach is located further south of Kata Beach, it is dominated by one large hotel, but offers more seclusion and tranquility. The beach is beautiful, with calm sea and stunning scenery. For the active it is worth renting a long-tail boat for a trip to Ya Nui Beach further south where you will find great snorkelling. Many of the high end hotel resorts in Kata will offer Spa services and there are a few stand alone centres within the town. This is the second longest beach in Phuket located just south of Patong with a wide stretch of sand and not as busy as Patong beach. 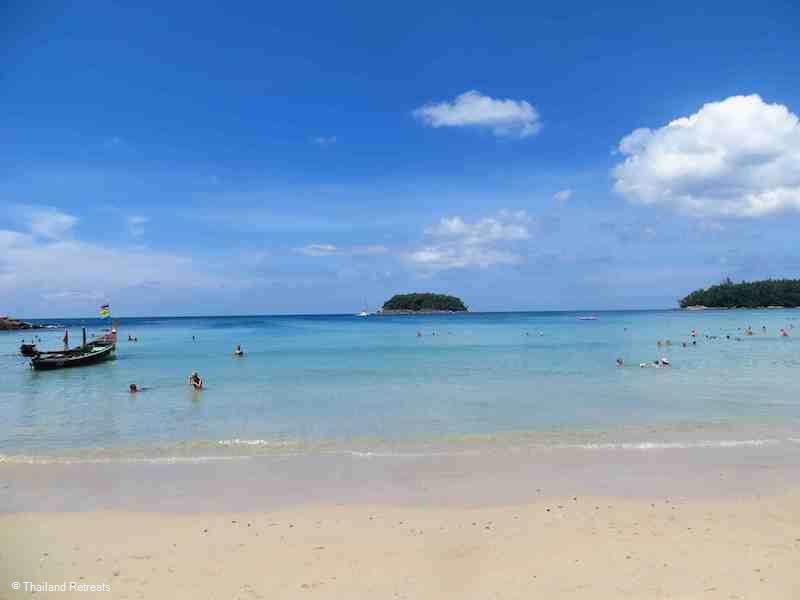 Here again new laws in Phuket has meant that new laws in Phuket has meant that all illegal commercial outlets on the beach have meant that commercial outlets have been moved off the beach including sun lounger vendors. A great family beach adjacent to Karon beach with beautiful white sands and incredible blue sea and an island offshore which features in many sunset photos. 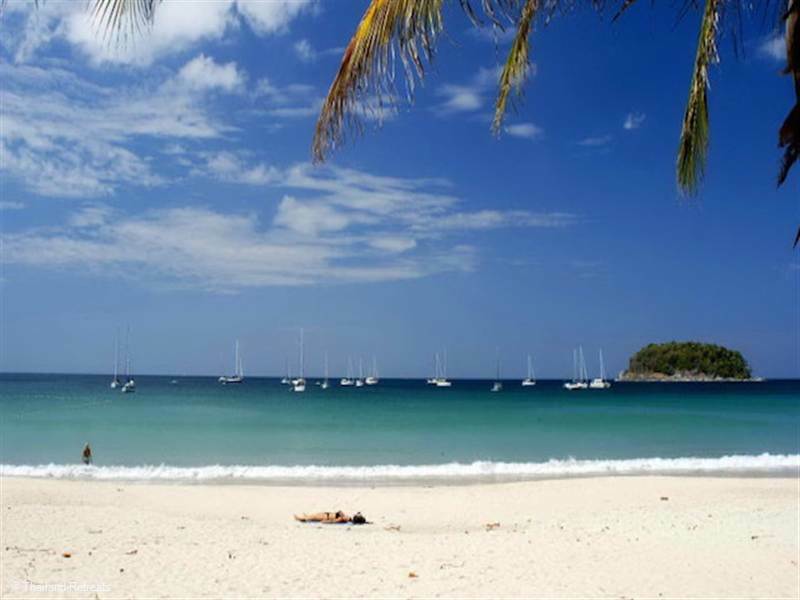 The beach is one of the most popular offering the same amenities as the larger beach of Patong but quieter and offering good dining and shopping opportunities. A great little bay you would probably miss if you did not know about it as not much goes on and has only 2 resorts located on the beach. Lovely sands and clear water and at the northern end of the beach there is occasionally some decent waves for learning to surf until the low season when the bay s rougher and the surf is more challenging. Kata is more a family friendly resort and not many arrive in Kata for the nightlife. It is just 15 minutes away from the hub of Phuket's nightlife in Patong. Girlie bars are not a big business at all. However there are plenty of bars around for evening drinks and for watching major sports events usually found at either end of Kata beach, rather than the centre. 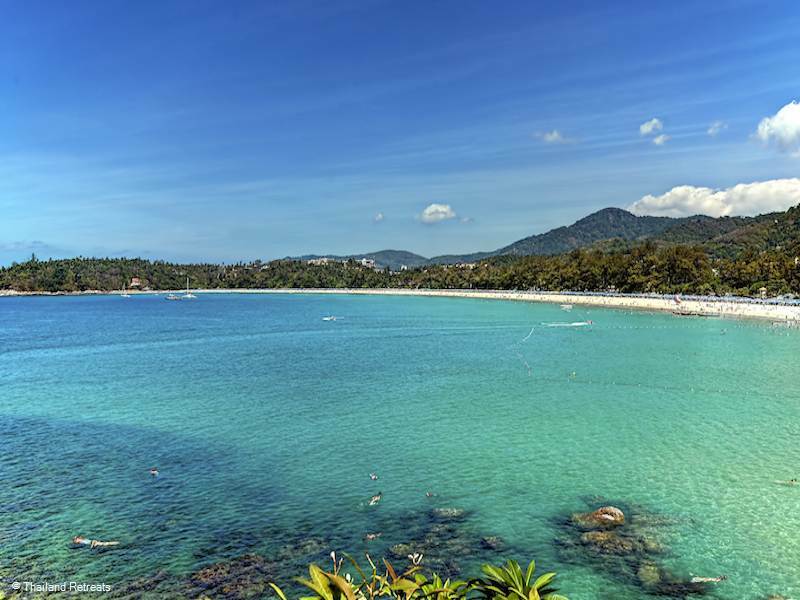 Located at the southern end of Kata beach spread over granite rocks Ska Bar is considered a major nightlife destination with great views along the whole length of Kata beach, it has entertainment with fire shows and reggae music.